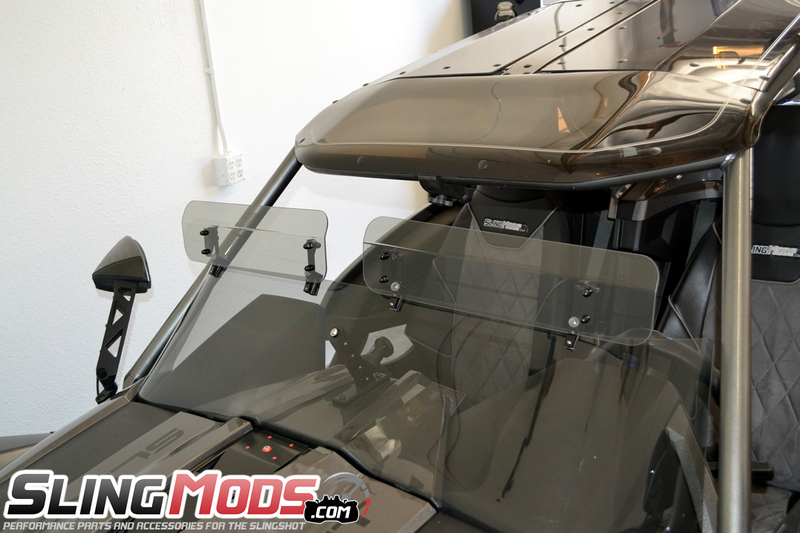 Baker Air Wings are quickly becoming a popular mod for the Polaris Slingshot due to their simple "clamp-on" style installation. 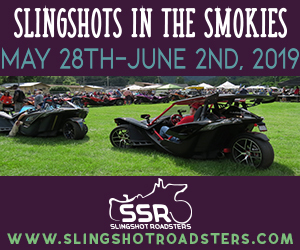 The Slingshot is notoriously known for having excessive heat build up in the cockpit area and the Air Wings from Baker help remedy this situation by circulating fresh air into the cabin. 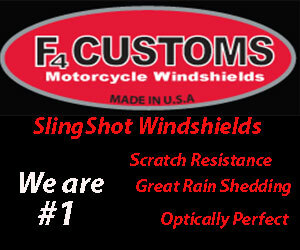 These new top side air wings are perfect for those that don't want the expense of a taller windshield or want complete wind protection in colder climates. 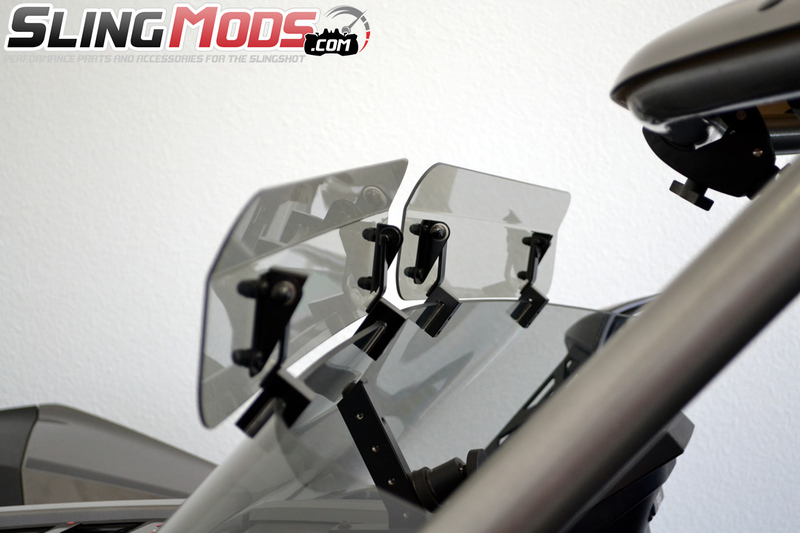 The literally install in minutes and are available in Clear, Light Tint & Dark Tint. @jluna317 Not too sure as we don't sell that top. You could PM us some pictures and we can look into this for you. 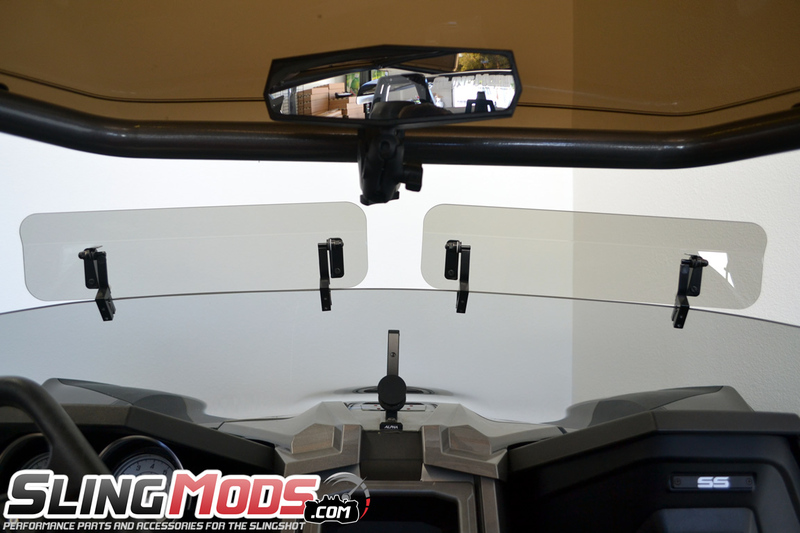 MadStad Adjustable is a windshield not a top right? 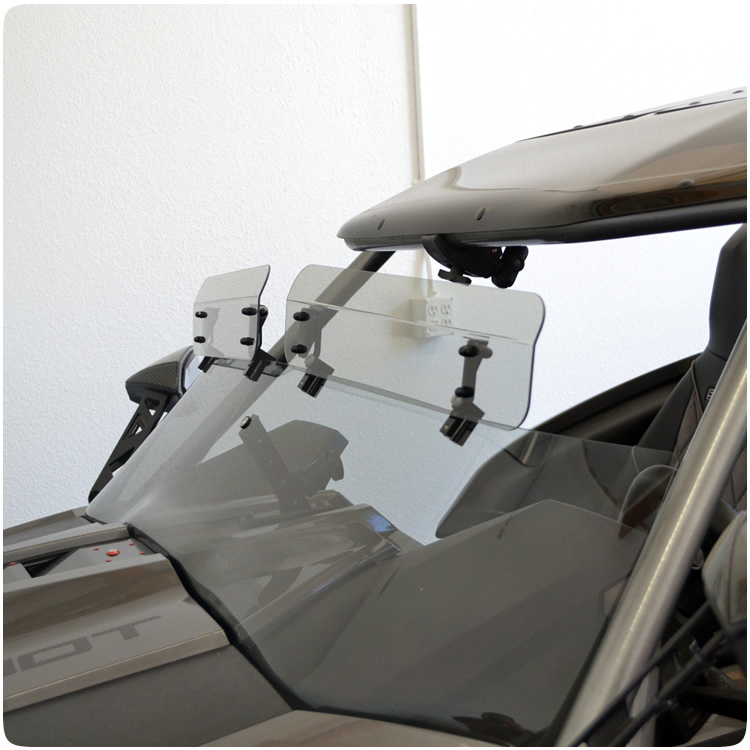 The Baker Air Wings can be attached to the F4 Customs windshield with no problem as we only make our shields out of High Optics Polycarbonate. We have these in stock for anyone interested also.